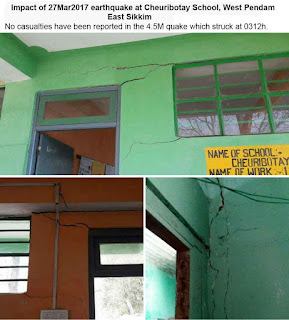 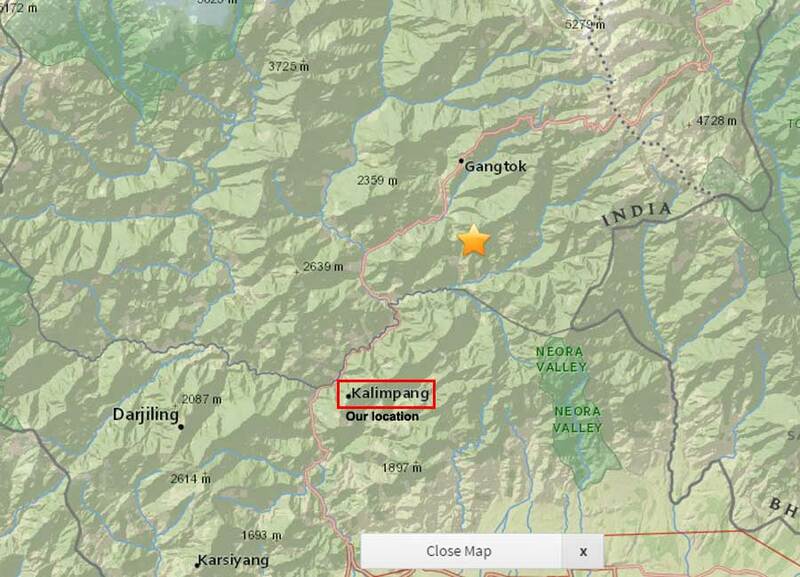 As per the above report the intensity is 'Slight' but mark my words, we were jolted out of bed in Kalimpong by a strong but momentary shake at approx 3.15am which knocked off the power supply for about 20 mins. 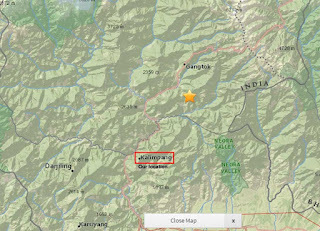 The epicenter was 26.1km NE of Kalimpong, near Pakyong. 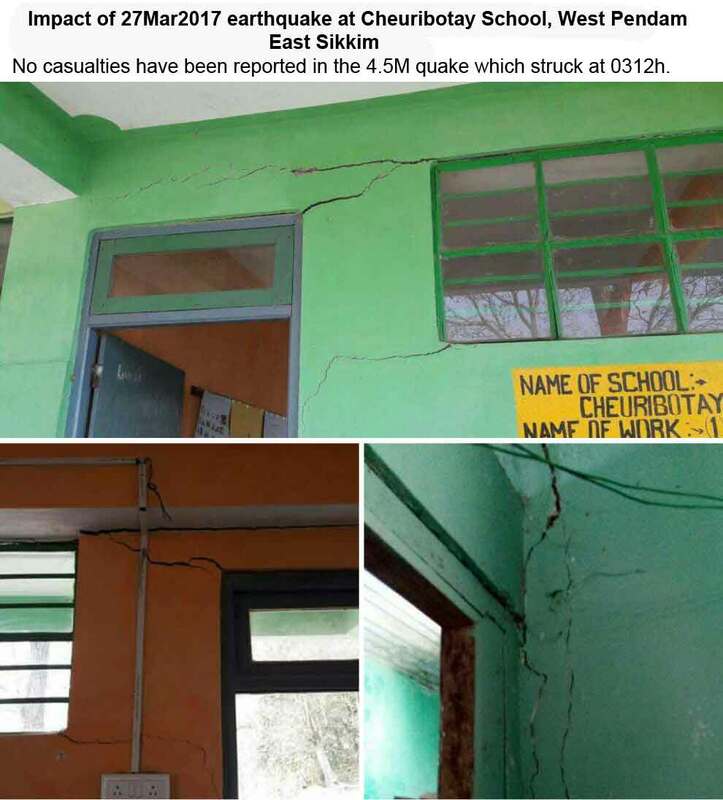 5hrs later at 8.10am, we have not received any report of casualties or damage.